You’ve heard of him. Everyone’s heard of Arthur. Artorios Magnus; the Bear, the Dux Bellorum; the King that Was and Will Be. But you haven’t heard the truth. Not till now. I knew him, see. Saw him, smelled him, heard him talk. When I was a boy I rode with Arthur’s band all up and down the world, and I was there are the roots and beginnings of all stories. 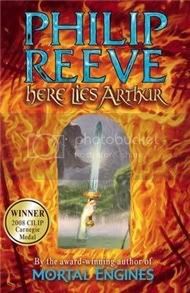 Philip Reeves’ Carnegie Medal-winning Here Lies Arthur is probably the cleverest and most original retelling of the tale of King Arthur and his Knights that I've ever read. The story is told by Gwyna, a slave-girl whom Arthur’s adviser Myrddin (otherwise known as Merlin) takes under his wing. After helping Myrddin with a cunning plan to unite people under Arthur’s leadership, she remains in his service—but with her long hair cut short, and calling herself Gwyn. As she grows up as a boy in Arthur’s war band, she reports what she sees. And what she sees is not what the stories led us to expect. The Arthur we find here is a petty and brutal warlord who is simply lucky enough to have a good PR. History is written by the victors, after all, so after each successful battle Arthur and Myrddin rewrite history to make the carnage seem not only right, but necessary. Here Lies Arthur, then, is a brutally honest book about storytelling, propaganda, war, violence, and gender. It’s a book that deconstructs not only this myth in particular, but what myths and stories in general have the power to do. It’s also a book that analyses the many ways in which people try to legitimatise violence. I’ve always been drawn to books that deal with how storytelling and mythmaking are quintessential human activities; how they have the power to create a whole new truth that becomes more important than facts themselves. But Here Lies Arthur is possibly the first that makes an explicit connection between this and propaganda and malleable truths. The interesting thing is that the tone of the book is always ambiguous—there’s no simplified conclusion such as “beware of stories, for They Are Bad”. Instead, we are shown both the positive and the negative: how very human, and how helpful, even, to have a narrative within which to frame your experiences can be; but also how dangerous and blinding, and how distorted the final version of a story can become. It’s complicated, just like life. What surprised me the most about Here Lies Arthur, though, was how it dealt with gender. I don’t want to give too much away, but we learn early on that Gwyna is to be raised as a boy, and then Philip incorporates a real Arthurian myth about a young Knight raised as a girl… the result is a story that very satisfactory deals with how gender is a social construct, and with the very real and painful consequences that being held to absolute standards of “manliness” or “womanliness” from which you can’t deviate an inch has in people’s lives. But Gwyna, of course, does deviate. She moves freely from one universe to another and oscillates between two identities. She has access to both worlds, and thus she's able to compare them. She is living proof that gender is malleable, and that a middle ground is preferable to either the confined world of women or the boastful world of men. Another thing I loved was the fact that Here Lies Arthur brilliantly portrays the male culture of violence into which young boys are socialized—a culture that discourages any form of intimacy or open communication—and what happens to those who don't quite fit in. I hadn't read a book that dealt with this so interestingly since Tender Morsels, and if you've been reading me for a while you'll know that for me comparing a book to Tender Morsels is the highest form of praise. And finally, I loved the ending. I won’t give it away, naturally, but I loved how once again, roles were reversed and expectations were turned upside down. Here Lies Arthur is smart, fresh, thoughtful, difficult to put down, and probably my new favourite Arthurian book. I liked the Arthur of the stories better, but some of his bravery and mystery rubbed off on the real man, so that when we came back to Arthur’s place in the harvest and I saw him again, I could not help but think of the time he had captures the glass castle in the Irish Seam or sliced the Black Witch into two halves, like two tubs. Myrddin said he was not an enchanter, but he worked magic all right. He turned me into a boy, and he turned Arthur into a hero. …but the look on his face was so strange that I hadn’t the heart to take his story away from him. He believed it, see. He believed the old gods were on Arthur’s side just as he believed that winter would follow autumn and the sun would rise tomorrow. And I thought that maybe that believing would make him brave and strong and lucky when the fighting came, and maybe without it he’d be killed, or turn and run away, which was worse than being killed. So I kept quiet, and the magic waters lapped against the sides of the pool. I remembered the way that he and the other boys talked about girls. They hadn’t the courage to talk to girls yet, but they talked about them endlessly. They watched them at the marketplace. Their heads turned like the heads of watchful girls when Gwenhyfar’s handmaidens passed them in the street. The laughed, and scoffed, and compared one with another, and I couldn’t join in that talk. It uneased me to hear the way they spoke. How hard they talked of girls’ bodies and how little of their feelings. Like women were just created to be used and traded. They respected horses better. I haven't read this one but have wondered about it several times in the library. I will get to it as I'm a big Philip Reeve fan... his Mortal Engines series is probably my favourite YA sci fi series ever. He's just a superb writer. This book has been on my list for awhile. I have to admit to not having read alot about King Arthur, but I am trying to rectify that with The Mists of Avalon! I am familiar with the Legend of King Arthur, but have to admit that I've never read a book about him. This sounds interesting since it's told from the slave girl's point of view. Wow. This sounds so freakin' good!!! I know I've told you before how unfamiliar I am with King Arthur. I did finally get the book you suggested as a start, but not surprisingly I haven't read it yet. Do you think I should before trying this one...would I get a lot more out of Here Lies Arthur if I had a better background going in? You certainly are off to a great reading start this year, aren't you? So many great books! I haven't heard of this one - but it actually reminds me of Morrigan's reaction to Idylls of the King the other day - that he didn't get how Arthur was teh hero, for going out and killing people and taking over their kingdoms. And it's a REALLY interesting story to draw up gender into! It's interesting, because we think of the Aruthrian legend and the period it was written in as this black and white world - men are her, women are here. But, the medieval writers played with gender to - given, in a way that was a little kludgy at times. I always like books that look at how a myth might have been- events that got spun into something else in the minds of the public. I think that's why I liked Mary Stewart's series so much- Merlin wasn't really a magician in hers, so much as a man whose actions were misunderstood by the more ignorant public, and then talked up into fantastic events by other people, for their own ends... anyway, I'm going to add this one to my TBR! great review. One certainly has to welcome books suggesting that gender is a social construct! Sounds good! This was one of my books of the decade. I love Arthurian novels and this is one of the very best. Its take on the story is so different, I couldn't believe it was written for young adults - it should be re-published with an adult cover to get wider readership. Definitely adding this one to my list. It's such a twist on the usual tale. I read this one a couple of years ago, and really enjoyed it, but then I love the authors main series (Mortal Engines/Hungry City Chronicles). Like Cath says, it's a superb series and contains the best opening paragraph I've seen in a long time. sounds very interesting. And I love that cover. so pretty! Wow, off to the library to hunt that one down! I love the traditions of storytelling and folklore and how it has shaped the history of nations. Especially stories like that of Arthur, that have been passed down over generations and still thrill us today. Another addition to my Arthurian challenge! Thanks. I skimmed this review because I seriously want to read this book. I was sold when you wrote "is probably the cleverest and most original retelling of the tale of King Arthur and his Knights that I've ever read." Wonderful review. I also found Reeve's take on gender interesting in the book. Gwyna seemed almost like a shadow in the novel the way she constantly alternated between the male and female ways of life. Adding it to my to-read list. Also, I know you don't read much Chinese history, but if you're interested, The Long March: the true history of Communist China's founding myth by Shuyun Sun is a wonderful example of this same myth making process, but in recent history. It's also really readable. I love books about stories and what they do for us. It's a theme I never ever tire of. This is the second glowing review of a Philip Reeve book I've read today, which seems like a Sign. Though your review means Here Lies Author wins over the other one, because it's about King Arthur and gender and stories. GLORIOUS. Cath: He is! Clearly I need to read more of his work. Clover: You are too kind! I'm very glad to hear you loved it too. Kathy: The perspective works really well. Jason: Morrigan is one smart kid :P And yes, it's never quite as black and white as it might seem at first. Jeane: I know I keep saying this, but I reallyreallyreally need to read Mary Stewart's series! Annabel: Hopefully that won't stop older readers from picking it up, though. Bella, I hope you enjoy it as much as I did! 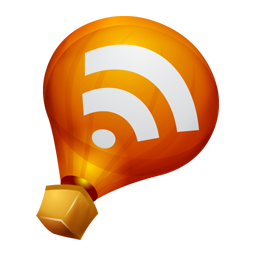 Darren, thank you for your link! I really need to get my hands on the Mortal Engines series, don't I? Aarti: It's not from Guinevere's point of view, though! Gwynna is a slave girl who grows up as a boy servant among Arthur's men. Mariel: I know - I find that so interesting too! Staci: I can't wait to hear what you think! Amanda: I thought it was so clever - the way he plotted it, and all the possibilities her double identity opened. Jennie: I haven't read much on Chinese history YET, but it's never too late to start! Thank you for the recommendation; I'll definitely keep it in mind. Jenny: Yes :D Glorious indeed. Marvellous review! Yes, having read Mortal Engines I can quite imagine the level of complexity that Reeve brings to the Arthurian legend. I am definitely getting hold of this book. You know, I have not yet read one book about the legend of Arthur, but I have been collecting them lately like mad! I like this take on things, especially the fact that it deals with an gender in an unusual way. Off to look this one up! It looks interesting. I am glad you liked it so much!! [...] we are shown both the positive and the negative: how very human, and how helpful, even, to have a narrative within which to frame your experiences can be; but also how dangerous and blinding, and how distorted the final version of a story can become. It’s complicated, just like life. This paragraph alone is enough to convince me that it is a compelling read. Thanks for the review, Ana. I'll have to check this out. I loved this book too. I wrote about it here. Fascinating sounding and who doesn't love a drastically different Arthurian myth?